Let’s be honest, the process of flying hasn’t gotten any easier the past few years… until now. No more worrying about where to park, will my car be safe, or when is the shuttle coming? A.P. Auto Spa has been in the parking business for years, and with the opening of their new 30,000 square feet airport location, they have taken all of the stress out of airport parking. Make your life easier by returning from vacation or a business trip to a car that has been freshly detailed, had regular maintenance performed, or even had some body work done. Not to mention that you will be shuttled to and from your car in style. Whether you are going to be gone for a day or a week, your parking can be completely complimentary depending on the services you want provided by A.P. Auto Spa. If you aren’t having any service done to your vehicle, you will enjoy the same great shuttle service and parking, but with a reasonable daily fee. 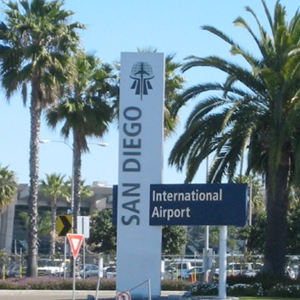 So give us a call the day before your flight out of San Diego’s International Airport. We will at least make your trip to and from the airport easy and stress-free.